It’s no secret that this was a long year for the Edmonton Oil Kings. As general manager Randy Hansch laid out at the team’s end of the year media availability, they knew it was going to be a building year. Ultimately, the hope is that the experience gained from the past couple seasons is the building block to success in the near future. I think if you take a step back and look at where this team is headed it’s hard not to get excited about what the future may hold. Let’s start with the potential returning players for next season. During the course of the summer there are sure to be some moves made and not every player eligible to return in 2018-19 will be back with the club, but the core of this group has the potential to remain largely intact. Outside of graduating twenty year-olds Colton Kehler, Tomas Soustal and Travis Child, every player on the roster could return with another year of experience under his belt. 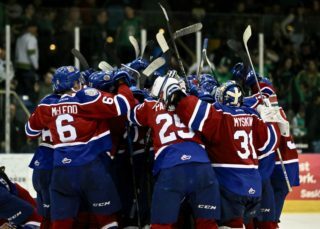 The Oil Kings will have some holes to fill and will look to add some much needed punch to their offence. They finished the year with 204 goals scored- the lowest in the WHL, an average of just over 2.8 goals per game. Trey Fix-Wolansky was a bright spot, leading the team with 89 points, but one player figuring in on over 43% of your total goals is not a recipe for success. With Kehler and Soustal moving on the club is going to need to find some more offence. 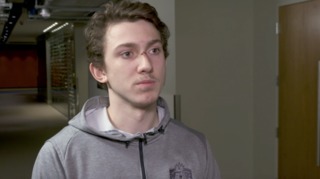 The natural progression of players on the roster maturing will help alleviate some of those concerns, and Jake Neighbours coming in as a full time player should help as well. Neighbours, however, will be a 16 year-old rookie and you can’t put too much pressure on the youngster to score. Kootenay’s Peyton Krebs was the leading rookie scorer this past season, recording 17 goals and 54 points playing major minutes with the ICE, a similar output to Trey Fix-Wolansky’s 54 point campaign a year ago. 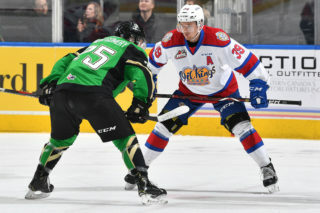 Second year forward Brett Kemp emerged for the Oil Kings this season playing on a highly skilled line with Neighbours and Liam Keeler down the stretch and David Kope is just scratching the surface of his potential, recording 14 goals in his rookie campaign. 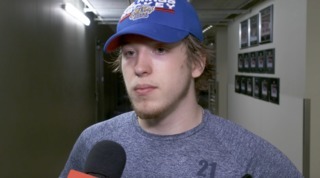 The Oil Kings could also benefit from the return of Andrei Pavlenko to the forward core. After showing signs of growing into an offensive role early in the year, he missed the majority of the season with a shoulder injury. 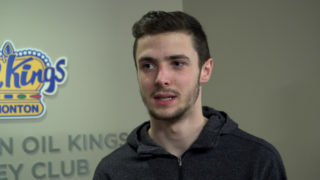 The Oil Kings also hold a top three selection in June’s import draft, where they have a chance draft a player who can make an immediate impact to fill their other vacant Euro spot. Edmonton will also have the chance to add at least two overage players to their roster over the summer, with netminder Josh Dechaine the only potential overage player on the current roster heading into the off-season. The Oil Kings will also need to improve defensively after allowing a league high 315 goals against this season. There is a potential log jam on the blue line moving forward with all eight roster players eligible to return and some impressive prospects trying to earn a spot. The d-core should be stronger (literally) as current players physically mature with Wil Warm, Conner McDonald, Brayden Gorda and Jantzen Leslie all entering their 19 year-old season. Matthew Robertson made huge strides in his rookie year, and has the look of a future franchise defenceman with potential to be a high NHL draft pick next year. Wyatt McLeod and Ethan Cap are now veteran defenders with two seasons under their belt, Jayden Platz’s game improved down the stretch and Aiden Lawson and Logan Dowhaniuk are among the youngsters who will be pushing for a roster spot. For me the biggest question moving forward will be in goal. Josh Dechaine, who really emerged this year after the Child injury, will be twenty and would need to occupy an overage slot if he returns. Boston Bilous had an up and down rookie year, starting strong but then was derailed with illness and never was really able to prove himself in his 16 year-old season. Todd Scott will be an 18 year-old next year and seems ready to challenge for the starting job as well. The Oil Kings also have 2017 2nd round draft pick Sebastian Cossa, who is coming off a nice season with the midget AAA Fort Saskatchewan Rangers. Sticking with the plan and taking your lumps isn’t an easy path for the staff or the fans, but if the club is able to build towards being a contender it will ultimately be worth it. Three picks in the top 23 of May’s bantam draft, including the first overall, will further stock the cupboards for the organization. 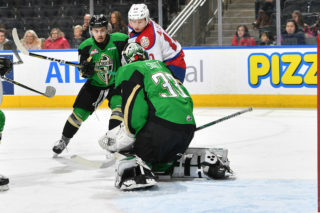 It’s an important offseason for the Oil Kings, and with a few key moves they could be right back in the playoff picture this time next year.